The modern technology has risen in the current century than no time ever before. The Android phone technology is very popular among mobile phone users ‘the world over’. It has plenty of state of the art feature which allows user to communicate with the people of the world, with the help social networking applications such as Facebook, Tinder, Whatsapp, Yahoo, Line, Viber and many others alike. The user can send text messages, instant messages, photos and videos; they can do chats and conversations with their online friends. Sometimes these kinds of activities really do harm teenagers. 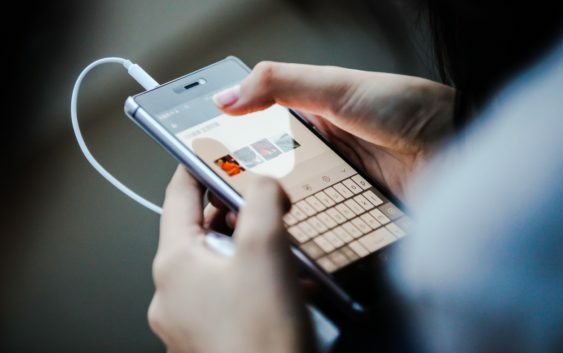 To counter all of the online dangers, developers have produced plenty of Android spying apps which enable user track messages, location and IM’s logs and GPS location. Today, we’ll be listing the best 10 of such mobile spying apps, starting from the least, to the very best. We welcome criticism, suggestions and questions regarding Android spying programs you’ve used in the past. It is a complete package and set of features that a spy should have. It is full of robust features, sensor features, spy torch and infrared camera filter as well, compass, spectrum analyzer and secret audio recording and plenty of other tools which can really make a difference to be the spy. User can save their contacts and also keep their all activities safe and secret calls. The secret calls app enable user to hide all of their contacts and logs. It allow user to hide the phonebook and from seeing them, and enable users to delete all outgoing calls and received calls. Nobody will tack the call activities. In-case you want to make fake calls that comes in opportune time; this will suit you the most. 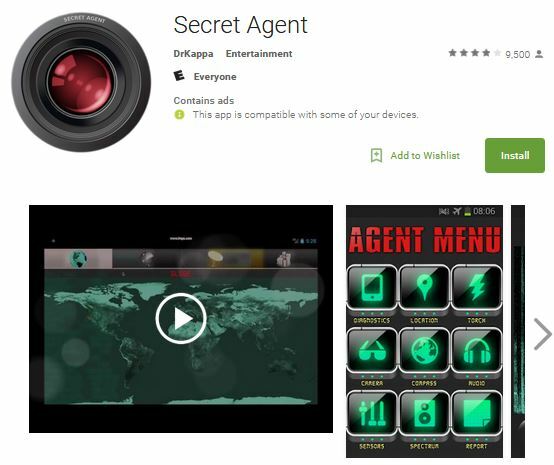 The Secret Agent Fake call app for android and for PC allows a user to make a fake call along with the pre-recorded conversations, and customized messages. You can prank with your friends and others you want to. You just need to install the app on your device. Spying is considered as incomplete without having the hidden camera app. The user just needs to make a tap on the screen in order to get a rapid snap with no one the wiser. It further allows user to make short videos when a user put it into on videos mode. It will start making short videos unless you don’t stop it. The application has plenty of camera features; you can install it on the target device PC or phone because the application is very user-friendly. Another good alternative to the mobile hidden camera app is the one named “detective box” that can be downloaded free from Google play store. Let’s suppose that if anyone wants to spy someone and pretended that your Android device is off, then you should use the spy video recorder app. This application does the same as we mentioned earlier, it will take pictures and videos but make others to appear as off, It will help you out to never get caught. It works in similar fashion with the award-winning surveillance monitoring app that gives another layer of security to Android phone and tablet devices. Parents are very insecure about the security of the young kids and teens. It is truly a nightmare for parents when they heard about the child abuse cases and child abductions issues. Now parents can track the whereabouts of young kids with this awesome app. Children tracker is one of the powerful tracking software around today that’s free. The user just needs to have installed the app into the android phone and then you can track the phone and/or whereabouts of your kid. In-case a user wants to send a confidential message, but at the same time, you don’t want to stay as the prof in your friend’s phone or PC. You can put a time for your message to be automatically deleted. Spy messages software enable a user to exchange all secret messages and appointments, a user can set time frame on every single confidential message to the friend. 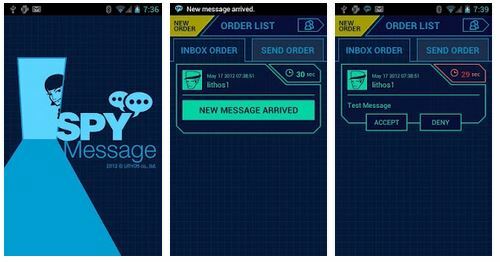 Spy message android app is free and works with most android phones, phablets and tablet devices. You can download ASAP from the link below. The best part of this particular spying app is that it pretends to a target user that it working on something else. The user has a choice to fix background of its own choice in order to reveal when sneaky is the camera is at on mode. The background image of the app could be a music player, but in reality, it will work as a spy app capturing the image and users will not be caught by anyone. Ear spy for android phones and for PC is the type of tool that appears immersed within the music of your android phone and amplifies the sound around you through device microphone all the way to your ear phones. It can track the voices of surroundings and also enhance the listening power of your surroundings. The application can be installed on PCs and android phones. Are you worried! About your young kids and teens that spent most of the time on their mobile phones and PCs. You are aware of online and dangers, but your kids and teens don’t, then you should use the one of the finest Android phone and PC monitoring software TheOneSpy. It allows user to view GPS location of your kids and teens, allow viewing IM’s logs, chat conversations, media share. The user can view all visited websites, spy and record calls, view all sent and receive messages and remotely control the phone and PC device. The user can block incoming calls, messages, internet and view all installed applications. All the android spying apps listed above are best in their domains. But out of all, I will suggest you try out TheOneSpy monitoring app for Android and PCs to see how well it suits your monitoring needs. It has the sheer power of accuracy and dozens of monitoring features which helps out in parenting, employees and spouse monitoring. Have a thing or two to contribute about Android spying apps or would like to ask about Android apps in general? Please do use the comment section below to relate same to us. The making of this content is credited to Cathy, who is a blogger and tech expert that writes on mobile phone apps, social media and latest technology updates.